Go behind the scenes of the No. 4 film of all time and Disney's fastest selling Digital release of all time to gain exclusive access to more than two hours of never-before-revealed details of its unprecedented, ten-year cinematic journey which includes an epic filmmaker roundtable, an inside look at the surprising Super Hero pair-ups, deleted scenes and more! Box office history was made when Marvel Studios' "Avengers: Infinity War" shattered all opening records, surpassed the $2 billion mark at the global box office in just 48 days, and remains the fourth highest-grossing film of all time. Now, the cinematic event ten-years in the making comes home Digitally now and Blu-ray on Aug. 14 with over two hours of bonus. 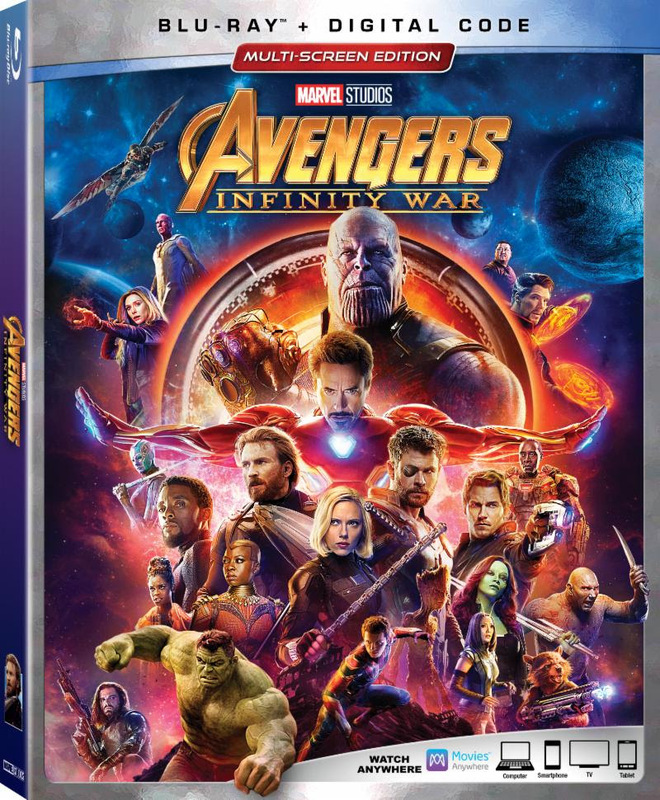 Featurettes provide behind-the-scenes access to memorable moments when characters first meet, the rationale behind some unexpected on-screen pair-ups, explores the frighteningly powerful Thanos, the struggle on Titan and the massive battle in Wakanda. Deleted scenes and filmmaker commentary reveal even more on-set secrets from Marvel Studios' monumental undertaking. And the gag real showcases a lighthearted collection of on-set antics from all your favorite Super Heroes.